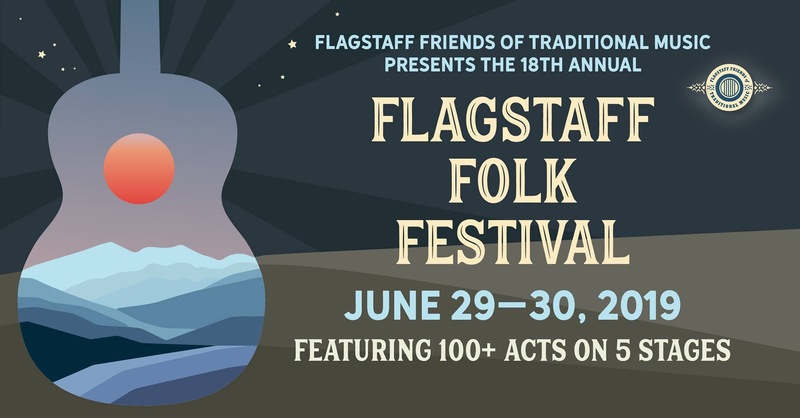 The Flagstaff Folk Festival has a small number of food and music-related vendors. We do not have general arts and crafts type vendors. We charge a nominal fee for vendors to be part of the festival ($75 for a 10×10 spot; $125 for a 10×20 spot), and work closely with vendors to ensure that their presence will enhance the festival experience and fit in with the overall flow of the event. If you are interested in vending at this year’s festival, please email flagfolkfest@ffotm.net. For food vendors, please be aware that if you sell any open prepared foods or do any sampling you are required to apply to the Coconino County Health Dept. for a Temporary Food Service Permit. Vendors selling “whole uncut produce” or value added items that are “shelf stable” are exempt from this as long as you are not providing samples. For more information or questions about health department requirements, contact Jennifer Corrigan at jcorrigan@coconino.az.gov. To request a vendor form, contact Anne at flagfolkfest@ffotm.net. Coconino County Environmental Health and Temporary Food Service Requirements. For tax purposes, you also need to add ‘FS’, which is the code for Flagstaff, to your AZ Transaction Privilege Tax via the business update form. Call Sue at the Flagstaff tax & license office with any questions, 928-213-2250. For insurance purposes, we would like a Certificate of Insurance listing the following additional insured: Flagstaff Friends of Traditional Music; Flagstaff Arts Council; Arizona Historical Society Pioneer Museum.